OMG, what a great box idea. How fun! I've never heard of this box, but it sounds like such a cool idea! The kiwi soda sounds so interesting, and you can never go wrong with nutella. That's such a fun box idea! Yum! My mother in law gifted me a similar box for Christmas and it has been fun trying things from all over the world, when I'm brave enough haha. They have boxes for everything now! I love that this one is full of snacks and munchies. I can't imagine how happy your pregnant little self was to get a box! I think this sounds delish! Especially the potato sticks! 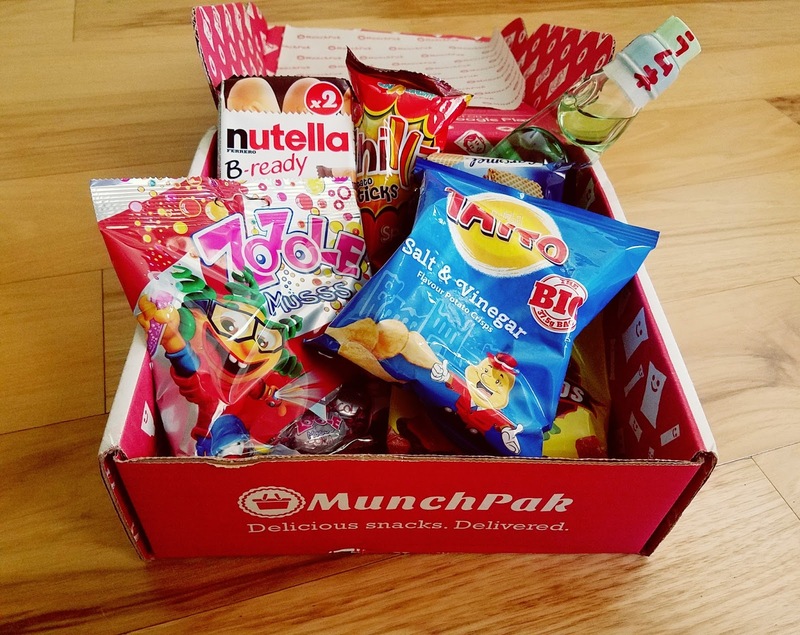 This is one tasty looking subscription box! This sounds like the perfect box for a pregnant lady, and even better that the treats are from all over the world! I hope that you enjoyed tea with those biscuits from England! Such a cute box! totally great subscription!